I, along with many, watched Dave Chappelle’s comedy specials “Equanimity & The Bird Revolution” the first moment I could on New Year’s Eve. Chappelle had already lightly tarred his reputation as a good lefty in the last Netflix specials for making transphobic jokes and praising Bill Cosby for his comedic legacy. 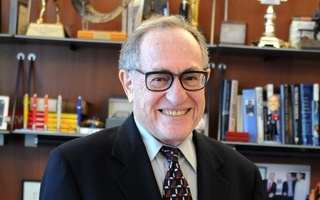 He did not fail to disappoint in this series, as he criticized American liberalism with American liberalism—stating that the progress of the BGLTQ movement can be in some ways attributable to white privilege, that #metoo focused too dangerously on accusation to avoid backlash, and that Presdient Donald Trump may be good for America as a catalyst of political engagement. He then encouraged comedians to “speak recklessly,” which seemed like two interesting words to place in the book of great Democratic quotes if such a book exists. In those two hours, Chappelle seemed to symbolize the figure that liberal Americans neither wanted nor needed but certainly lacked—a careless loyalist, who convinced few besides himself of his loyalty to progressivism. His sin: He seemed to understand too well liberalism’s contradictions.Unsurprisingly, liberals on college campuses, especially elite ones like Harvard, live in liberal bubbles. We are held to the same triggers. Our complicated codes of pleasantries work so that in a polarized political landscape, we can miraculously communicate with facades of diversity without encountering an opinion that truly upsets us. This common experience describes an inevitable liberal utopia occurring when its constituents are too immature to be bitter, too comfortable to be ungenerous, and too invested in their perceived greatness to be jealous. Our classifications of ourselves fall along equally simplistic lines. Liberals support universal healthcare, minimum wages, and anti-racism. Liberal politics seemed to be motivated by a motto driven by stated values of empathy, moral elasticity, and fairness: to do the least harm to those most vulnerable in society. Liberal culture, such as political correctness and trigger warnings, seemed a natural extension of this philosophy. It surrounded an analogous call—to protect socially those most vulnerable through the strict guarding of language. But this call seems to break down repeatedly in the very effort to apply it—especially in an era of polarization such as ours, where media outlets profit from our anger, the spread of news is virulent, and the capital bar of exposure to other people’s informed or uninformed opinions has never been lower. The reason seems to be an intolerance for negativity, though we are surrounded by political negativity in our daily lives through presidential ignorance, quotidian chauvinism, and angrier extremes. This intolerance does not allow us to treat others with the empathy they deserve as our countrymen. But furthermore, it lends itself to our own division. Earlier this year, psychology professor Steven Pinker was thrust into the spotlight by Twitter users for sympathizing with the alt-right after a clip of a panel Pinker participated in went viral. Pinker’s full thesis was the opposite—he had been attempting to highlight the alt-right’s blind spots while explaining a possible route for radicalization. However, his initial characterization of the alt-right’s membership as “highly literate, highly intelligent,” and “internet-savvy,” completely overshadowed for some liberal audiences a thesis intended for healthy, self-preserving, critical examination. When Ashleigh Banfield, a CNN news anchor, spoke against Aziz Ansari’s sexual assault accuser in an open letter, Katie Way—a 22-year-old writer who initially broke the story—wrote, “[That] burgundy lipstick bad highlights second-wave feminist has-been … DISGUSTS me” in a decidedly unfeminist manner. Even the most visible of liberal public figures have their words distorted, their interiorities assumed, and their motivations bastardized by the very groups they attempt to support. We lose sight of our greater goal, which is the re-establishment of a healthy country. We instead reserve our energies for petty defenses against the nuances of our own agenda. Language is the gatekeeper of ideas. As words such as slurs must be banned for this reason, we cannot guard our language to the point that we imagine what is nonexistent, ban leaders who should be celebrated, and delegitimize ourselves through the intentional misrepresentation of valid ideas. I advocate, as always, for an expansion of language and therefore of thought, empathy, and humanism: a political environment where people of all sides can listen to others without rudimentary mocking; where it is plausible for a group to be wrong yet logical; where we can include discouraged citizens back into our electorate, and create, once again, a forgiving middle-ground. The future of American liberalism may depend on such an expansion, as the worst action a group can take is to alienate its own constituents. Though liberals like me disagree with Trump’s opinions, we must acknowledge that his message won in part because it was digestible, whereas the liberal agenda was not. Minorities are expected to be moderates, reaching across the aisle to those who don’t even respect their humanity. There is nothing inherently elitist about being liberal. And surely the word “elite” loses meaning when it is applied to half the country.